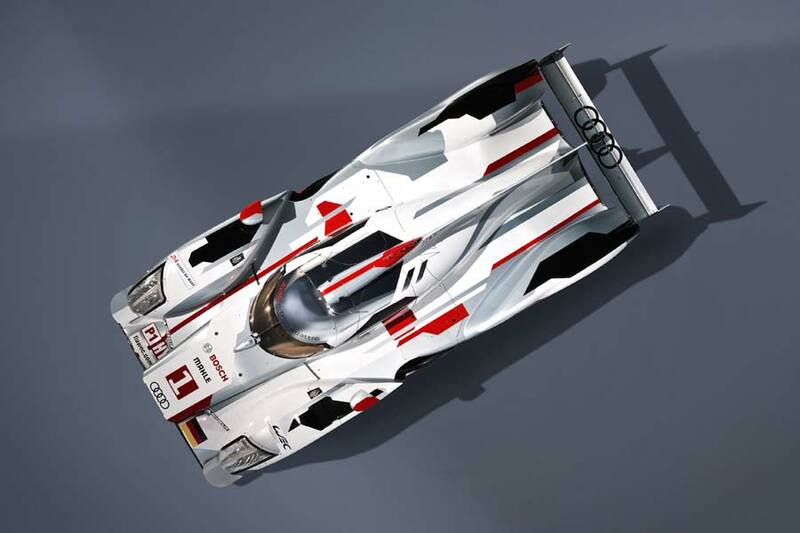 Always ones to push the envelope, Audi will be taking a four-wheel driven diesel hybrid racecar to the legendary 24 Hours of Le Mans in France on June 16/17. 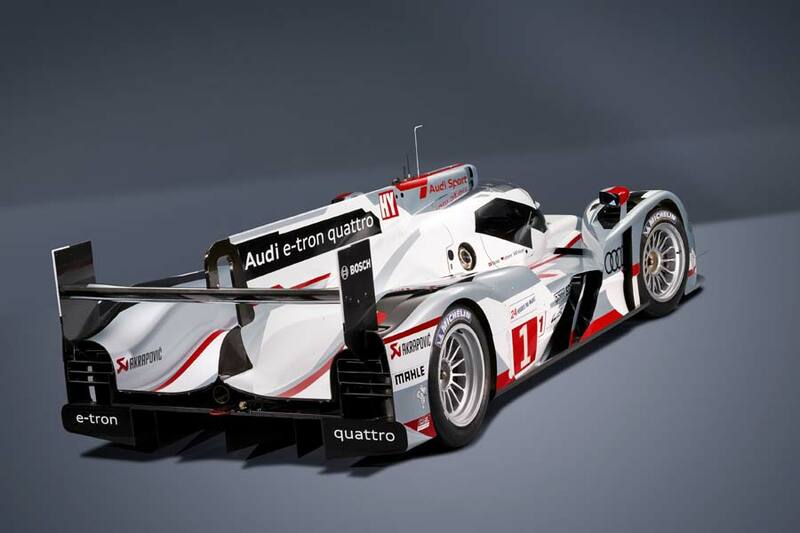 Making its race début at Belgium’s 6-hour race at Spa-Francorchamps on May 5, the Audi R18 e-tron quattro works along similar lines as the Porsche 911 GT3 R Hybrid car: kinetic energy is recovered under braking, which is is stored in the flywheel accumulator as electricity. 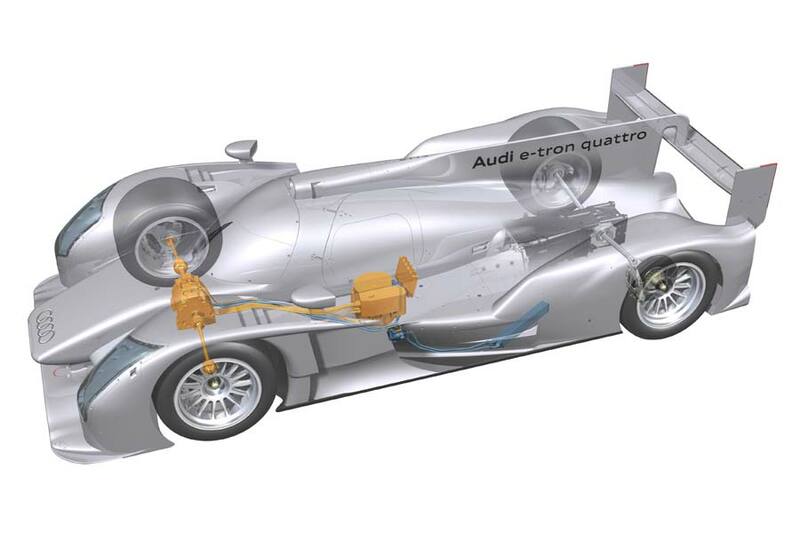 Once the car accelerates to 120 km/h the front axle is driven, while the 375 kW (510 hp) V6 TDI engine continues to power the rear wheels. 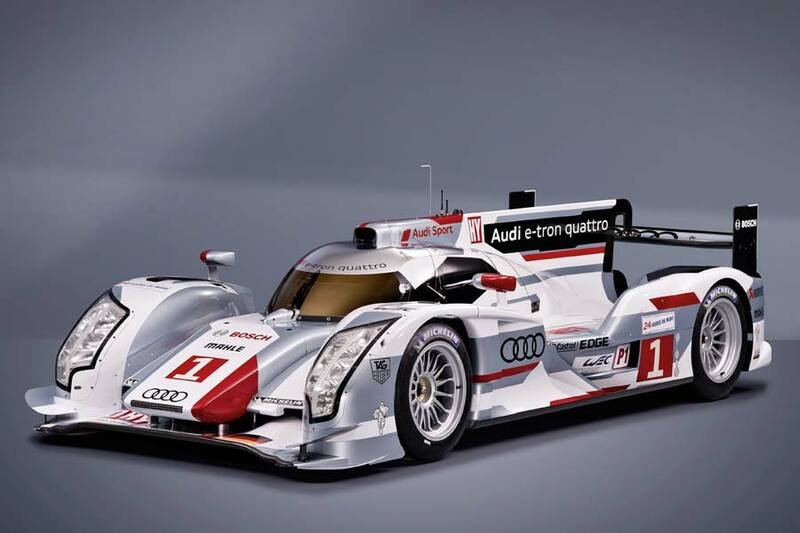 Demonstrating the car’s innovativeness, Head of Audi Motorsport Dr. Wolfgang Ullrich drove the R18 e-tron quattro onto the stage at Munich airport for its world premiere – purely on electricity. 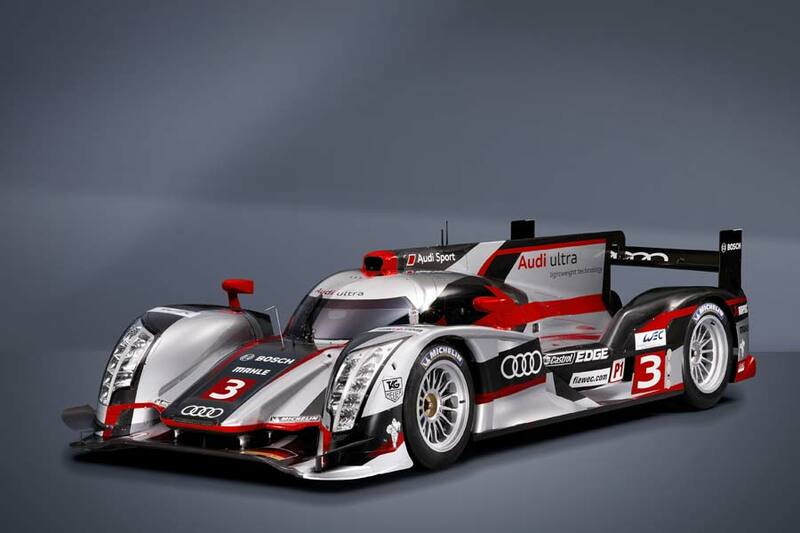 Partnering the R18 e-tron quattro at Le Mans and in the FIA World Endurance Championship (WEC) will be Audi’s R18 ultra. 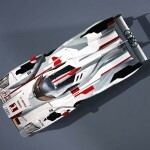 Virtually identical to its sibling – apart from the lack of hybrid drive, the R18 ultra is Audi Sport’s lightest Le Mans prototype, thanks mainly to the fact that weight had to be lost to compensate for the addition of the R18 e-tron quattro’s hybrid system. 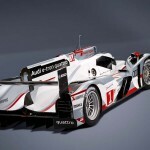 One of the many optimizations is the use of carbon-fibre composite to construct the gearbox casing. 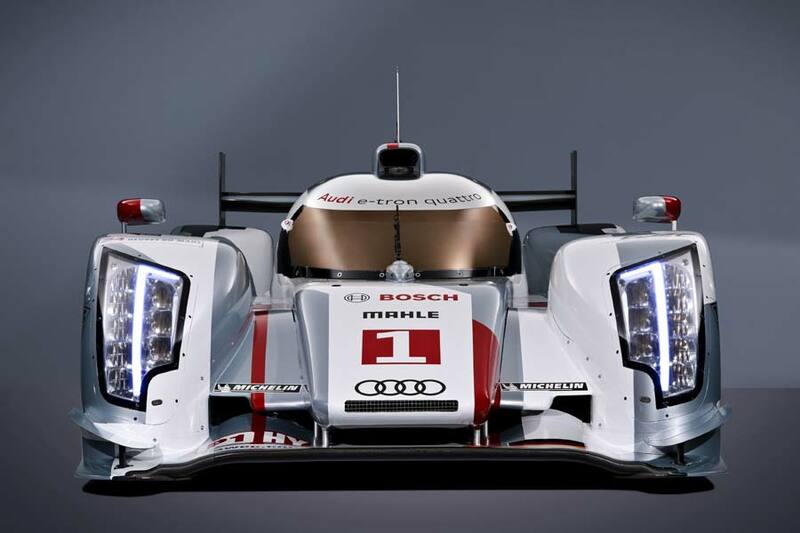 A world first in endurance racing. 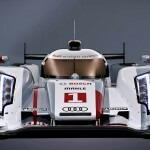 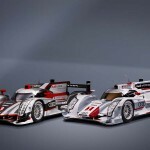 Audi Sport Team Joest will take two R18 e-tron quattro and two R18 ultra prototypes to Le Mans. 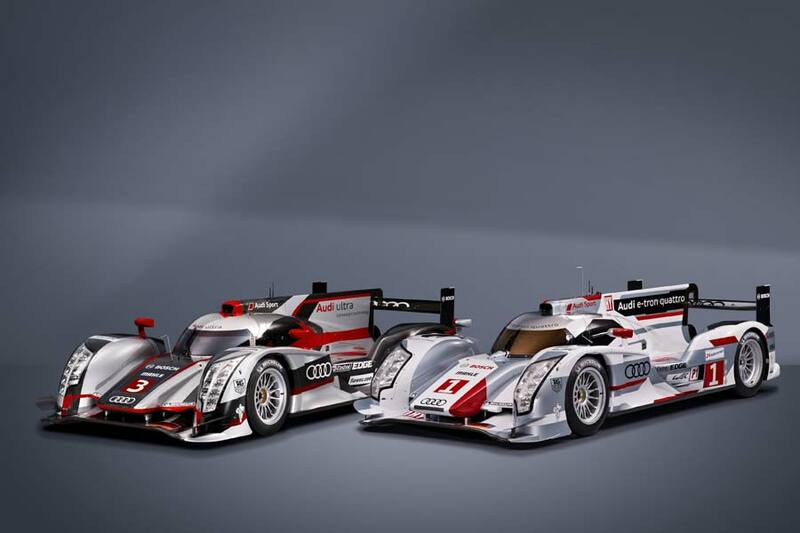 The hybrid cars will be piloted by Allan McNish, Dindo Capello Tom Kristensen and Benoît Tréluyer, André Lotterer and Marcel Fässler, while Oliver Jarvis, Mike Rockenfeller and Marco Bonanomi will drive an R18 ultra as will Timo Bernhard, Loïc Duval and Romain Dumas.